People tend think of Macs as the "creative" computer and Windows as the "business" computer, but those lines have blurred for years. System administrators figured out how to support iPhones for enterprise email; Windows Phone looks great from a design perspective; and have you noticed that Apple doesn't even ship a basic image editor anymore, and yet Microsoft remembers to include MS Paint? We already know apps have replaced hardware music players, which is one of the reasons Evolver.fm exists. 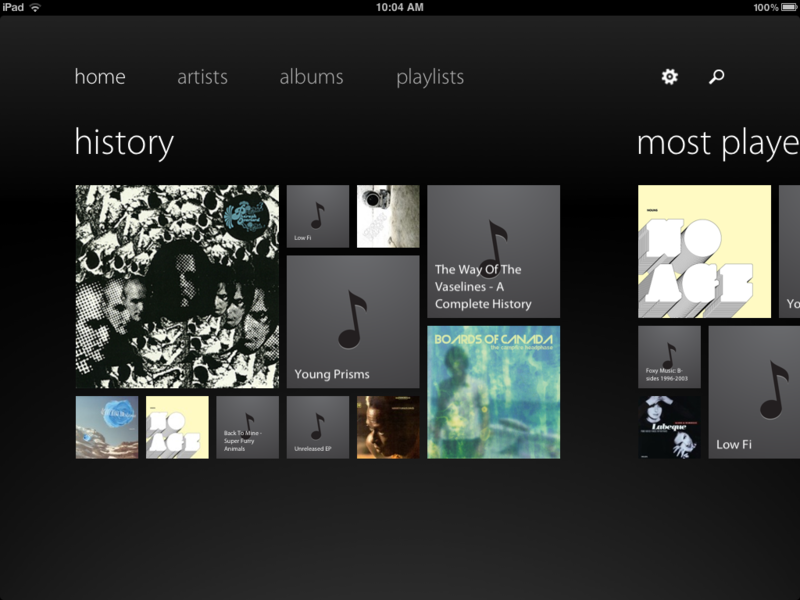 However, a $1.99 app called Track 8 can also bring Microsoft's stylish "Metro" aesthetic to the iPad and arguably looks better than Apple's equivalent, the Apple Music app that ships with iOS devices. If you like Windows' new look but use an Apple iPad for your tablet — or if you're a Machead who wonders how the other half lives - Ender Labs' Track 8 warrants consideration. 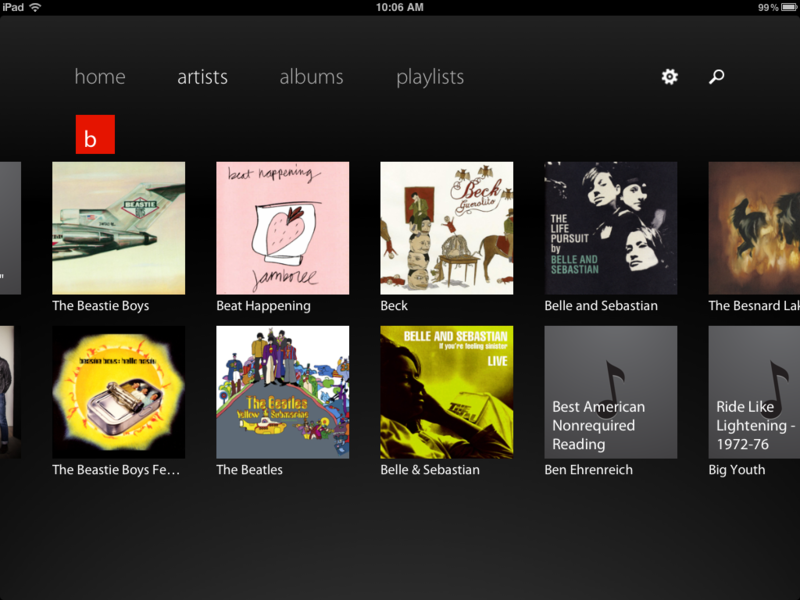 This $1.99 iPad-only app transforms the iPad into a modern Windows device, where music is concerned, anyway. Track 8 really is beautiful (video and gallery below) with nice graphics, a clean layout and smooth animations between menus. It works best if your songs all have album artwork, because it's such a visually oriented music player. All of the settings are likewise aesthetically-oriented; you don't even get a built-in Apple AirPlay toggle, although you can use the iPad's native AirPlay function to send music to AirPlay speakers from within the app. It apparently doesn't work on certain jailbroken iPads, but we confirmed that it works great on iPad 1, so that problem, which appears in the app's comments on iTunes, appears to have been resolved. Track 8 is a simple music player with no additional features like the ones that impressed us in eMusic's souped-up Android music player. This app is about one thing, and one thing only: a look, and a nice one at that. If all you're trying to do with your iPad music player app is listen to downloaded music, switching to this look could easily be worth the $1.99 asking price. We do have to wonder whether Enderle Labs will attract any Microsoft legal attention, though, for the way Track 8 so faithfully copies Microsoft Metro — not to mention that one of the backing screens features longtime digital music holdouts the Beatles, who would hardly be likely to endorse a $1.99 music player app. Hey, that's not your problem. If you like the Windows Metro look, as I do, and only need a pretty-looking, straight-up iPad music player app lacking non-cosmetic extras, Track 8 is worth a couple of bucks.